The Totem Pole is an arrangement of symbols (usually an animal associated with a legend) created for the purpose of conveying a story or event. 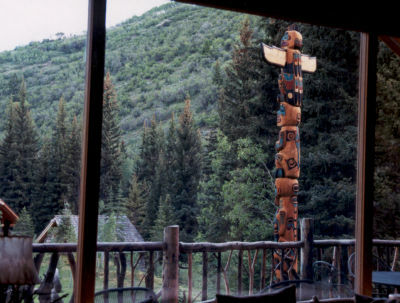 The figures on the poles usually represent mythical beings from the tribe's ancestral past. Totems were a form of communication for the Pacific Northwest Coast Native Americans as they had no written language and thus the Story Poles were used to convey their legends, stories and events. Only the most affluent of tribe members could afford to have a totem carved. 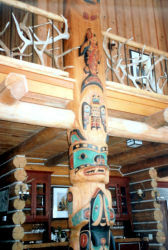 The carver would often live with the family who commissioned the pole during the carving process. 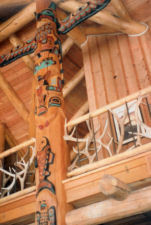 Gulli Totems offers original hand carved Totem Pole art for sale. There are dozens of designs to help you choose the totem symbols most meaningful to you. 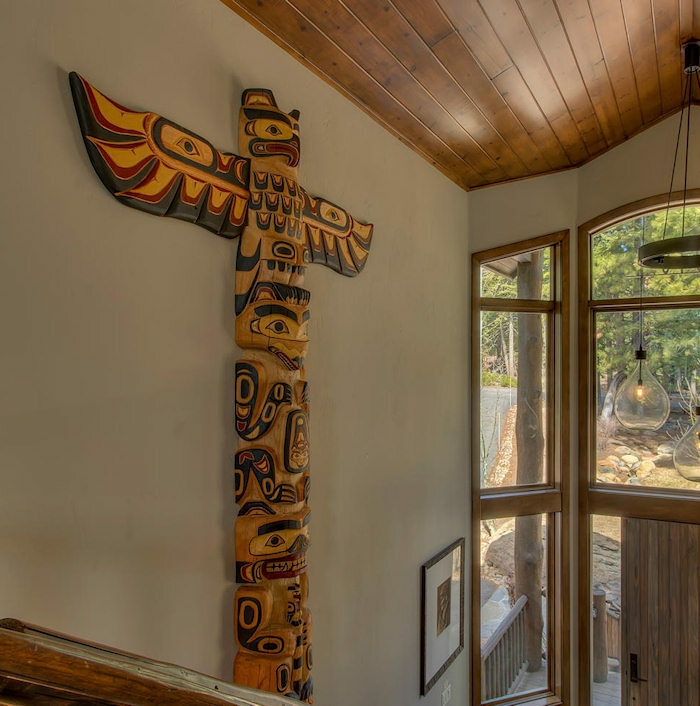 Totem Poles adhere to the traditional carving style of the Pacific Northwest Coast Native American tribes. Each hand carved pole is an original piece of art and is branded by artisit George Gulli of Gulli Totem Poles. Larch logs are used for the Poles which range in size from 4' to 50'. Every log is selected for straightness and clarity. Lumps and bumps are smoothed out and the log is then center-lined for the design. Once carving is complete the poles are hand painted and then sealed for protection. Story Poles can be customized to portray important events, family history, a favorite animal that holds special significance or as a unique trademark piece for your business. 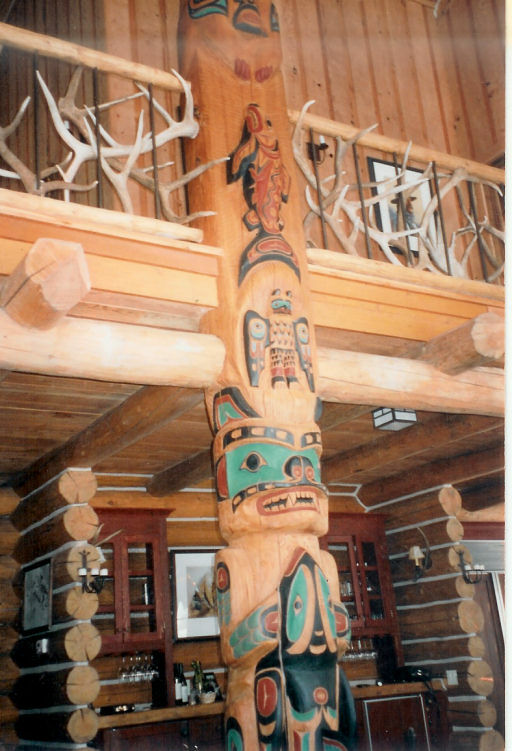 For additional Totem Pole pictures visit our Photo Gallery. Also available: House Poles, Signs, Wildlife Statues, Custom Art Carvings, Whimsical Carvings. Please contact us for pricing and information on purchasing your custom pole or wood carving, There is generally a waiting list for our poles so we urge you to order as soon as possible. 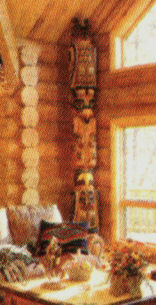 A Totem Pole is a timeless statement that is uniquely yours. 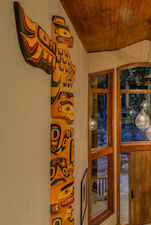 Totem art adds value and interest to your home, business or landscape.